Many Japanese corporations that demonstrated wrongdoings have poorly responded to public criticism and were subsequently dragged into various corporate crises. The managers in these corporations did not speak or behave in a responsible manner during the crises. In addition, they also offered negative views on corporate social responsibility (CSR) years before the crisis, disqualifying them from being considered responsible corporate citizens. 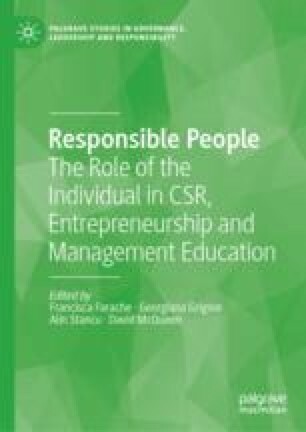 By using a genealogical analysis, the author investigates their views on CSR and CSR-related activities before the crisis. In this study, the author conducts an analysis of Toyota’s recall crisis in 2010 as an example. CBS News. 2010. Toyota Has Donated to Investigating Reps. Last modified February 23. https://www.cbsnews.com/news/toyota-has-donated-to-investigating-reps.
CBS News. 2011. Electronics Not at Fault in Toyota Deaths. Last modified February 8. https://www.cbsnews.com/news/electronics-not-at-fault-in-toyota-deaths. Keidanren. 2011. Keidanren Homepage. Accessed September 1, 2011. http://www.keidanren.or.jp/indexj.html. Keidanren. 2017. Keidanren Homepage. Accessed August 9, 2017. http://www.keidanren.or.jp/en/profile/pro001.html. Ministry of Land, Infrastructure and Tourism (MLIT). 2010. Press Conference on February 5. Accessed September 1, 2010. http://www.mlit.go.jp/report/interview/daijin100205.html. Toyota Motor Corporation. 2008. CSR Policy: Contribution Towards Sustainable Development. Accessed September 30, 2008. http://www.toyota.co.jp/en/vision/sustainability/index.html. Toyota Motor Corporation. 2018. Guiding Principles at Toyota. Accessed June 11, 2018. http://www.toyota-global.com/pages/contents/company/vision_philosophy/pdf/guiding_principles.pdf.